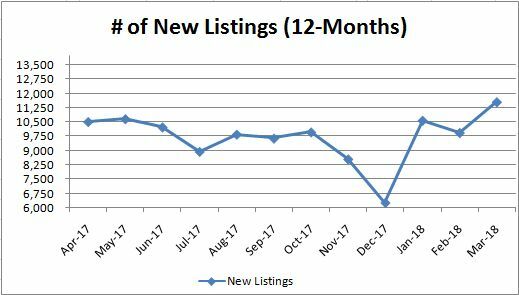 Back in March 2017 (same time last year), the number of new listings on the market was 12,200 listing as compared to 11,559 listing in March 2018 which is a decrease of 641 listings or -5.3%. 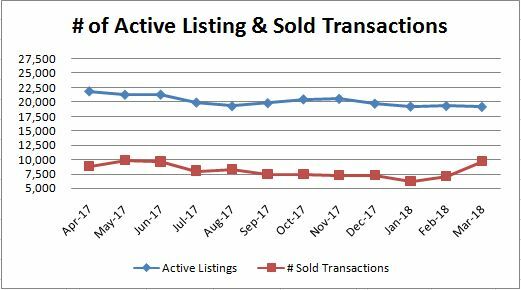 More concerning is the number of active listings was 22,246 listing in March 2017 as compared to 19,129 listings in March 2018 which is a decrease of 3,117 listings or -14.0%. 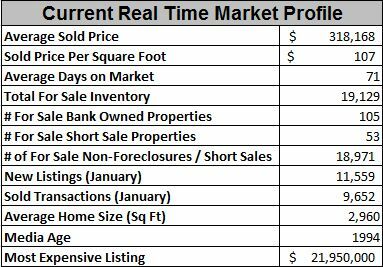 In March 2016 there were 25,329 listing, in February 2015 there were 25,570 listings and in February 2014 there were 29,435 listing. As for the number of sold transactions, we had approximately the same number of transactions in March 2017 of 9,365 transactions as compared to 9,652 transactions in March 2018. 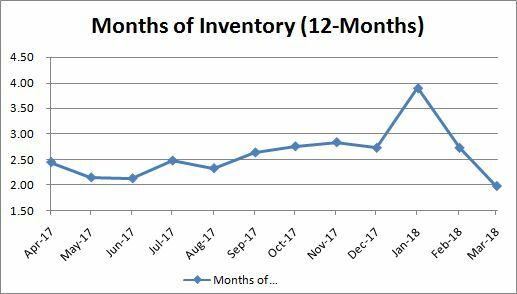 Due to the lack of new listings and the high amount of transactions the months of inventory has gone from 3.9 months in January 2018 to 1.98 months in March 2018. The Phoenix Housing Market ended 2017 with an overall annual appreciation rate of approximately +9.0%. If inventory remain low throughout 2018 and a strong demand for housing continues we can expect the market to continue to appreciation above the national average. 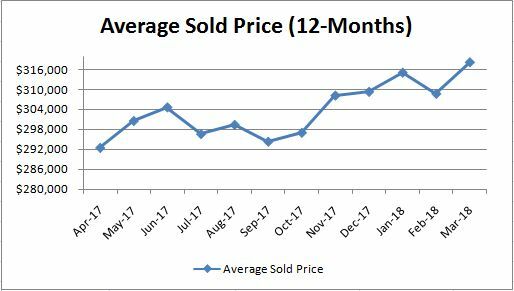 Historically, real estate prices don’t start to increase until February or March as the buying season begins and with the low inventory of homes we can expect to continue to see the market appreciate. 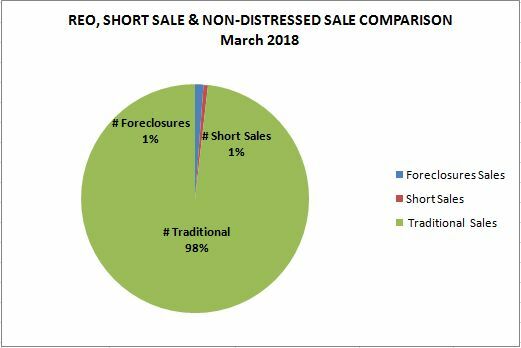 Another sign we are in a healthy market is the current percentage of foreclosures and short sales sold remains at only 1% of the total market. 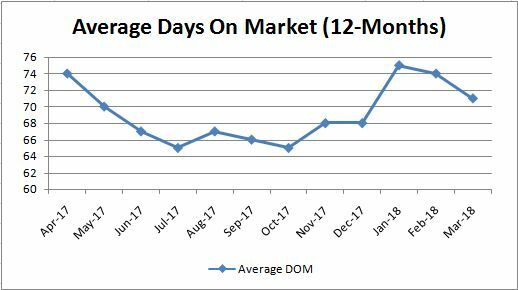 Since March 2017 (12 months ago), the average days on market has decreased approximately -4.1% (down from last month) and the number of sold transaction has increased approximately +9.3% (up from last month). Since January 2018 we have seen three sharp trends: The average days on market have decreased -5.3%, the number of sold transactions has increased +55.4% and months of inventory have decreased -49.2%. Should this trend continue throughout 2018 we can expect another year of appreciation above the national average in the Phoenix market. Historically, 19,129 homes for sale represent the lowest number of homes this market has seen for over a decade. This low number of homes for sale indicates we are in a seller’s market (low supply and increased demand). Property owners are not putting their homes on the market because they are holding off to accumulate additional appreciation from the market. Hopefully, this roller coaster will come to a slow end instead of everyone wanting to put their homes on the market at the same time. Finding a good tenant is essential, but it can also be tricky. It requires more than just putting an ad on the internet. To find a great tenant for your rental property, it pays to know what makes a good tenant. So, we’ve created a list for you. These are 8 traits to look for in a potential tenant. 1. Openness Toward Background Checks It’s important for you as a landlord to know who you are renting to before you rent out your property. This is because you never know when a tenant is going to be reliable and worthwhile or seriously problematic. Contacting their previous landlord isn’t 100% reliable, as some might throw an array of unjust accusations. The only option is to ask them directly. Granted, the tenant may lie but some of the reasons are quite straightforward and oftentimes completely honest answers. • Did the previous tenant pay the rent and on time? • Did they do a reasonably good job of taking care of the rental property? • Was the person disruptive towards neighbors? • Was the unit clean and in good order when the tenant left? • Was the tenant evicted? 4. Ability to Pay Rent This is a no-brainer. The prospective tenant should be able to pay rent without struggling. To verify whether they can afford the price of the rent, you need to look at their proof of employment. Look for a tenant who has good job prospects and a steady, reliable income. A good rule of thumb is that the price of rent shouldn’t exceed 30% of the tenant’s income. Some red flags to look out for include a person who has long periods of unemployment or if the person changes jobs often. 5. Cleanliness A good tenant maintains cleanliness. It’s every landlord’s dream to get a tenant who will take good care of your property. You obviously wouldn’t want a person who is going to let trash pile up on the patio or leave food remnants building up in the microwave. You can get a better idea of the way they would maintain your property if you get a glimpse of their car or if they allow you to meet them at their current residence. You could also include a cleaning clause in your lease as well. 6. Subletting When you are a landlord, it’s important to protect yourself against as many potential risks as possible. This is the same reason why you have to do a proper tenant screening before renting out your property in the first place. But should you allow a tenant to sublet? Subletting happens when an existing tenant lets all or part of their home to someone else. Allowing subletting is risky. Some tenants want to sublet as a way to earn extra cash or to avoid paying rent on a vacant apartment. Also, there’s no guarantee that they would pay as much attention to the tenant selection as you did. It would be counterintuitive to be okay with your tenant getting a couple of tenants of their own. 7. Roommates It’s important to know how many people are going to be living with your renter. The tenant might be planning to move in with their significant other or even their entire family. 8. Plans for residence Your final layer of screening is a simple practicality test. If they have a job nearby, verify that your house is not an impractical distance away. If they have a family, check that there is a room for everyone in the home. If they have a pet, confirm that they are willing to conform to the pet clause in your lease agreement. Generally, tenants will have an excellent plan for residence, but it never hurts to check. If your prospective tenant possesses most of these traits, then they are a great candidate for a long-term renter. They will most likely keep the home in good condition, and that they will be responsible and well-behaved. This is a great time to be a landlord. Monthly rents have been increasing for years, vacancies remain at historic lows, and renters are paying down any loans you have on the property while your equity continues appreciating every month. All is good! Now is the right time to fine tune and improve your processes. 1) The landlord process begins with a thorough screening of tenants. 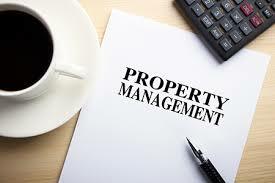 Whom you allow to move into your property always makes a difference in how profitable your business will be. No landlord likes having a vacancy but allowing the wrong tenant to move in can be more costly than a vacancy. The problems that bad tenants can cause are countless. If it’s a multifamily residence, one bad tenant can cause good tenants to move out. Bad tenants can move bad friends in to create even more trouble. Of course, the damage they do to the property can easily exceed your rent profits, the security deposit, and cause you headaches to make repairs. Besides the obvious screening for criminal backgrounds and credit reports, always follow up on references. Require at least two previous landlord references and place more weight with a landlord that doesn’t currently have him or her as a tenant. A current landlord is likely to give a bad tenant a glowing report just to get them out of their rental property. Also make sure all adults living in the residence sign the lease. 2) Go beyond the standard rental agreement to set your own rules. Certainly, your Arizona has minimum requirements that must be met to rent a property. Usually, these apply mostly to the landlord. You need to have your tenants sign a set of rules that you require them to obey. Common rules include not disassembling vehicles in the parking lot, no excessive noise after 10 pm, the number of days a guest is allowed to stay overnight, etc. 3) Understand and enforce security deposits fairly. Arizona allow one and one half months rent amoutn for a security deposit. Always have a walk through with a new tenant and take photos of existing damage. Have the tenant sign and date the written description along with signing printed copies of the photos. 4) Keep the property in good repair. Failing to make prompt repairs can give tenants the right to move out without advance notice, to withhold rent, or to make repairs themselves, and deduct it from rent. Stay in control of your properties by requiring tenants to promptly notify you of needed repairs and then you promptly making the repair. 5) Maintain a secure property. The best tenants insist that the property be kept secure from criminal activity. Often this only requires good outside lighting and shrubbery kept cut back. Larger properties might add security cameras as an additional deterrent to crime. 6) Notify tenants before entering their dwelling. Tenants have a right to expect privacy. Arizona laws allow landlords to enter under emergency conditions but you must give 48 hour notice before entering for any other reason. 7) Give notice of any known hazardous conditions. For older properties, the most common hazard is lead paint. Even if you don’t know if lead paint is four or five layers down, it’s wise to give notice of the potential so that you don’t become liable for tenants’ (especially young children) health problems. You may have other hazards such as an old covered well. 8) Maintain enough insurance to protect your investment. You need rock solid insurance to protect you from injury liabilities, discrimination lawsuits, fire, storm damage, and much more. 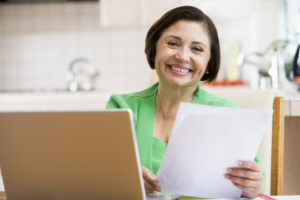 Now is good a time to review your coverage. 9) Resolve disputes promptly. Conflicts can arise over rent, noise, mold, repairs, and a plethora of other issues. When a tenant has a complaint, discuss it with them quickly. Attempt to put a resolution in place as soon as possible. Doing so can avoid rent being withheld, moving out without notice, or even having the issue escalated to attorneys and courts. The new tax law brought welcome news for people who rent out their homes for short periods. And it likely will entice even more people to do it. The new tax law caps state and local income-tax and property-tax deductions at a total of $10,000; previously there was no limit. But there may be a way around this new cap for people who rent out their home or vacation property for at least 15 days a year, tax experts say. Here’s how it might work in practice, according to Stephen Fishman, a legal writer and author of several Nolo do-it-yourself legal guides, including one on short-term rentals. Let’s say you pay $1,000 a month in property tax ($12,000 a year) on a home. Under the new rule, if you live in the home all year, you’re only entitled to a $10,000 deduction. But say you rent it out for three months. You can deduct 25% of your property tax, or $3,000, on Schedule E for rental deductions and income. You can then deduct the other $9,000 you pay in property taxes on Schedule A for itemized deductions, allowing you to deduct the full amount of your property tax, Mr. Fishman says. The new law also caps mortgage-interest deductions for first and second homes purchased during 2018 through 2025. Under the new tax plan, you can only deduct mortgage interest on loans of up to $750,000 over that eight-year-period; the previous limit was $1 million. “If the property is part rental and part residence, you can deduct the mortgage interest without limitation for the period of time that it’s a rental property—provided it rented for 15 or more days,” Mr. Gilman says. Again, let’s use an example, courtesy of Mr. Fishman. Say you have a $1 million mortgage on a home you bought in 2018 on which you pay $60,000 interest annually. Only interest on loan amounts up to $750,000 is deductible, so you can only deduct 75% of that $60,000 as an itemized deduction on Schedule A, or $45,000. If you rent the home for three months or 25% of the year, you can deduct 25% of your mortgage interest, or $15,000, as a rental expense, not subject to the $750,000 limit. You get a $15,000 deduction on Schedule E, allowing you to deduct the full amount of your mortgage interest. You can’t double dip, though, so if you claim a deduction on Schedule A, make sure you don’t also claim it on Schedule E and vice versa, Mr. Fishman says. If you’re in the top 37% bracket, the tax saving from the difference in the amount you could deduct in the example above would be $5,550, Mr. Fishman says. If you’re in the 32% bracket, it would be a saving of $4,800; it would be a saving of $3,600 if you’re in the 24% bracket, he says. Another benefit for owners renting out their homes is that the new law makes it easier than ever to deduct in a single year the cost of personal property like furniture or appliances used by renters, Mr. Fishman says. Say you buy furniture or appliances for your home rental property. You can now deduct 100% of your tax basis (the cost times the percentage of the year the property is rented) in one year for purchases made during 2018 through 2022. In the past, you had to deduct the cost of the property over five or seven years, depending on the item—and all the items had to be new. Now they can be used as well, Mr. Fishman says. Disclaimer: Position Realty is not a tax accounting firm. Before implementing any ideas in this article you need to speak with your tax professional. Selling An Investment Property? Read This First! Recently, a family of my acquaintance were selling a condo that had been an investment property. They had owned it for five years, and it fetched a rent a third higher than the mortgage; however, it was in an old building that had had several expensive assessments, so the condo had not been cash-flow positive during that time. Plus, the property had nearly doubled in value, and the couple thought it was prudent to cash out, since prices in the area seemed to be softening. They started researching their options. There are three reasons people like investing in real estate. First, it’s a great way to diversify a portfolio and build wealth. Second, average citizens can take out a mortgage to leverage their investment; this is a more exotic, less advisable option when it comes to securities. Finally, a piece of real estate can pay off in two ways: by appreciating in price and by bringing in rental income. When spouses filing jointly sell their primary residence, $500,000 in gains is shielded from tax. But when you sell an investment property, as my friends were doing, you owe capital gains tax on the proceeds. This can take a big bite — the federal top rate is 20 percent. However, there is a way to defer paying that tax. It’s called a 1031 exchange. It allows you to put off capital gains tax if you use the proceeds of the sale to buy other rental real estate. In order to complete a 1031 exchange, you must engage the services of a firm that specializes in such exchanges before you close on the sale of your investment property. They will charge a fee to hold onto the money from the sale until you are ready to spend it. After closing, you have 45 days to identify up to three “like kind” properties for the exchange. Like kind simply means real estate; in practice it can be anything from empty land to an apartment or a freestanding house. But it must be an investment property, not a timeshare, shares in a REIT, or a second home, and not renovations or improvements, either. And, you have 180 days in total — or until tax day (with extensions) for the year your property was sold, whichever comes sooner — to close on the sale of one of those three properties. For example, if you closed January 1, 2018, the new property must be purchased by July 1. But if you closed in December 2017, you only have until April 15 of 2018, unless you get an extension on your taxes. Now let’s do some math. In order to get the full tax deferral, the value of the new property should be equal to or greater than the sale price of the old property. Keep in mind that you owe capital gains on the mortgage payoff, as well as the cash that comes from the sale of your original property. 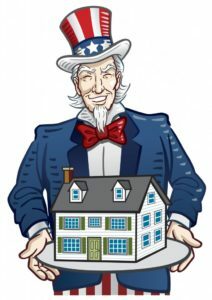 You can, of course, put some cash into a new property and keep the rest, known as “boot.” But in practice, if you go much below the sale price the tax advantage can be quickly eaten up by closing costs and fees. As a rule of thumb, if the boot, the amount you take home, is greater than the total capital gains, it’s not recommended to do an exchange. The main issue that wards people off of 1031 exchanges is the time crunch on finding a suitable new property. It can be daunting if real estate is not your primary occupation. It would be best to research your options before putting your existing property on the market. In fact, you can do a “reverse exchange” by buying the new property before selling the old property — provided you are confident of selling it in time. A grace period is additional time given to the tenant to pay their rent before they will be charged a late fee or given eviction notice. For example, rent may be due on the 1st of every month, but the tenant has until, say, the 5th to make their payment. Grace periods can be anywhere between 2–“X” number of days. Giving a tenant a grace period allows the tenant to spend more of their money instead of budgeting their money to pay the lease payment on time. With a grace period you will not be able to serve the tenant with an eviction notice until 5 days after the grace period. Most landlords have a mortgage on their properties so the longer it takes to evict a tenant is lost money paid to your mortgage company. If rent has not been paid by the 1st, tenants will get a late fee, currently 10% of the lease amount. Additionally, we charge them an extra $10 per day after that until they have paid their rent in full. For example, on the 1st they receive a one-time 10% late fee after 5 PM, on the 2nd an additional $10 is added to the 10%, on the 3rd an additional $10 is added to the total, and so forth. Every day gets a little more expensive. 3) They initiated the communication, rather than waiting for us to call them once the rent was already late.